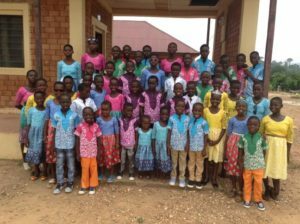 The Heart Smiles Organization cares for orphaned children in Ghana, Africa by providing the basic necessities of life such as food, clothing, educational materials, primary school education and general well-being medical checks. You can help us care for these children and others through donations. We estimate that medical care, meals, and other basic needs will cost around $20.00 a month/child. The rise in fuel cost has affection meal deliveries to the various schools in the four villages. Just $20.00/month will help on child have a better life. We have had local schools run penny drives and churches hold garage sales. We’ve had local businesses donate services for auction. Any idea is welcome! 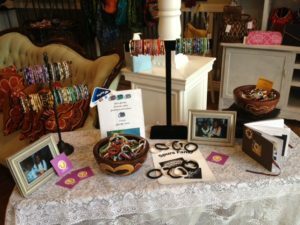 You can also connect with us to hold a Jewelry Party – this is where we sell our handmade bracelets at your house to your friends to come together for a great time of fellowship to make a difference! You can now support The Heart Smiles every time you shop on Amazon.com! All you have to do is follow the link below, select The Heart Smiles as your preferred charity. Each time you purchase an item, a portion of what you spend will automatically be donated to us. It’s that easy! There are times in all of our lives where we need to be brave – whether for ourselves, for our family, for our friends, or even for a complete stranger. 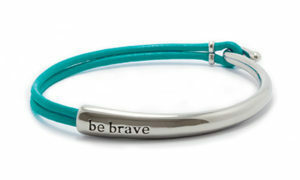 Bravelets TM bracelets are more than just something to wear on your wrist. They are a symbol of hope, strength and courage. They are designed to help you be brave in the toughest times. Bravelets will donate $10.00 from each purchase to The Heart Smiles! Your company can become a vital part of our reach by offering an employee matching program. Contact us to learn more.